Seeking a House Minder Job in Providence, Rhode Island and surrounding area. 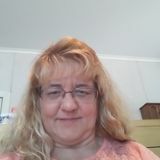 Want to connect with Patricia? I hope you are having a good day. I have been helping maintain my home since I was a child. I offer honest sitting services for your home. I look forward to speaking with you! I am very reliable, dependable and trustworthy. I would like to help you out in any way that I can to keep your house safe while you are away. Please contact me through email or phone call. Caring Mother's Helper in Attleboro who loves children will give loving care to your child. Well Trained Housekeeping for Hire. Will take care of your place as if it was my own. I have a lot of experience.